CDG Commerce is a merchant services provider that enables users to accept payments in-store, online, or via mobile. Its features include real-time reporting, website integration, professional branding, online payments, fraud defender, and more. In this article, we cover CDG Commerce reviews and pricing. Ready to get started? Visit its website. 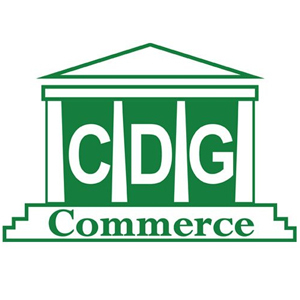 As of the date this article was written (March 20, 2019), there are no up-to-date CDG Commerce reviews available online. 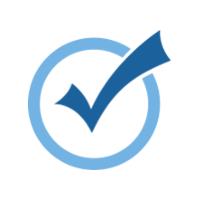 If you are a past or current CDG Commerce customer, leave a review to help other business owners who are deciding whether or not to use the service. CDG Commerce pricing depends on where the transaction will occur. It costs 1.95% plus 30 cents per transaction for payments made online and $1.75 plus 25 cents per transaction for payments processed through terminals, POS, and mobile. There is also a $10 monthly support fee. CDG Commerce also offers a cdg360 bundle. It costs an additional $15 per month for value-added services such as vulnerability scanning and customized security alerts. There’s also a POS solution for $39 per month and future-proof terminal hardware for $79 per year. Ready to get started with CDG Commerce? Visit its website. 7 Best Merchant Services Providers for Small Business 2019 – Choosing the best merchant services for your unique needs depends on many factors. In this guide, we review seven top-rated merchant services providers and examine the differences in plans, prices, and other key service features. What type of payments can be processed by CDG Commerce hardware? Aside from debit and credit cards, a CDG Commerce terminal can also process EMV and smart cards, ApplePay, Google Wallet, ISIS, and more. What steps does CDG Commerce take to protect the user’s money? CDG Commerce’s merchant fraud defense protection features include automatic high-risk order detection, phone order verification, cardholder authentication, chargeback defender, and FDIC security. Have you read these CDG Commerce reviews and are still not sure if it’s the right fit for you? Read our reviews of top merchant services providers or check out one of these three CDG Commerce alternatives.